You may have heard about Systematic Investment Plan (SIP) in which you can invest small amount of money regularly in equity oriented mutual fund schemes to achieve capital growth over a period of time. But have you heard about Systematic Transfer Plan (STP)? If you haven’t, here’s a brief introduction to an innovative product that can help you invest and manage your portfolio of investment smartly. 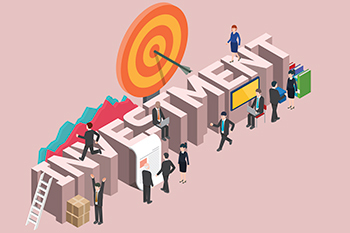 You may have heard about Systematic Investment Plan (SIP) in which you can invest a small amount of money regularly in equity oriented mutual fund schemes to achieve capital growth over a period of time. But have you heard about Systematic Transfer Plan (STP)? If you haven’t, here’s a brief introduction to an innovative product that can help you invest and manage your portfolio of investment smartly. STP is a unique plan that allows you to transfer your investment in a debt scheme to an equity oriented scheme at an appropriate time. Now, for example, the equity markets are at an all-time high, so it would not be a good idea to enter the market now as there is a possibility of the market going into a correction mode. But if you have a lump sum amount of, say, Rs 10 lakh to invest, what do you do? If you keep the cash in your savings account, it would fetch a measly 4% interest. If you invest the amount in a bank fixed deposit (FD), the interest rates being quite low, the post-tax returns you will get would also be low. Also, the amount would remain blocked for the specified time period of the FD. So what do you do? The STP would be a good option under such circumstances. Under STP, you can initially invest the lump sum amount in a liquid fund or ultra short-term fund which give a pre-tax return of around 7%. Thereafter, when you feel that the time is right to invest in stock market, you can transfer the amount invested in the liquid and/or ultra short term fund to an equity oriented mutual fund scheme of the same fund house at regular intervals and in a piecemeal manner. Most of the asset management companies (AMCs) offer daily, weekly, monthly or quarterly option to transfer money. The benefits of STP are many. STP allows you to choose the option of debt fund or equity fund as and when you think the time is right either for investment in debt or in equity. The funds can be transferred from equity to debt or debt to equity, which enables you allocate your funds in a tactical manner, taking advantage of both debt and equity to maximise your returns. STP provides the advantage of the power of compounding as your money grows at a compounded rate in both debt as well as equity funds. Then, there is the advantage of rupee cost averaging when you periodically transfer your money from debt to an equity scheme which mitigates the risk to your portfolio. So, go ahead and give the STP edge to your portfolio of investments.